CORHIO empowers people, providers and communities by providing the information they need to improve health. Improving health through enhanced use of information technology and data exchange is the heart of what we do. We manage one of the country’s largest and most successful health information exchange (HIE) networks, provide advisory services that help healthcare professionals effectively use technology and improve care delivery, and supply health plans and accountable care organizations (ACOs) with valuable data that enhance analytics and population health programs. As an independent, nonprofit organization, we are dedicated to serving all of Colorado's healthcare stakeholders including physicians, hospitals, behavioral health, emergency medical services, public health, long-term care, laboratories, imaging centers, health plans, communities and patients. In partnership with the communities and people we serve, we have developed rigorous data use policies and a strong trust network. This is the essential foundation of our HIE network and crucial to effective data exchange. 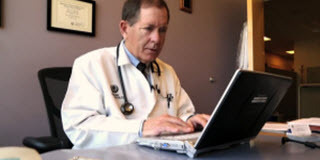 CORHIO is a participant in the eHealth Exchange initiative, a group or organizations collaborating on and working toward interoperable health information exchange, and DirectTrust, a non-profit, competitively neutral entity created by and for participants in the Direct community, including HISPs, CAs and RAs, doctors, patients, and vendors. CORHIO collaborates with communities and stakeholders to implement secure systems and processes for sharing clinical information. 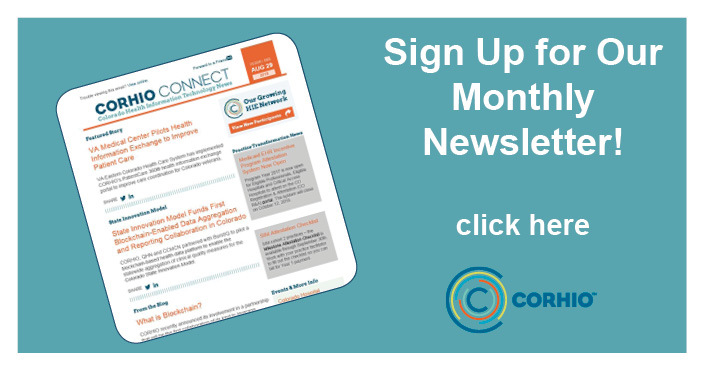 Our policies to protect the privacy and security of personal health information are developed and maintained by a statewide policy committee consisting of diverse representatives from across the Colorado healthcare community. A cornerstone of this committee is our shared commitment to privacy and security for all participants and patients in the CORHIO HIE. Our hosted HIE infrastructure, platform and services are provided by a joint partnership between CORHIO and Medicity. Learn more. We are consistently recognized as one of the country's leading HIE organizations. Learn more by visiting our CORHIO in the News page. We are a self-sustaining health information exchange organization through a fee-based subscription model. We were previously the recipient of three grants focused on building capacity for statewide health information exchange, including a grant from The Colorado Health Foundation and two grants from the American Recovery & Reinvestment Act (ARRA) HITECH program.